I can add more operating cycles of substances with increasingly lower boiling points, such as waste heat of any previous heated the next to a temperature higher than its boiling point. On the last working substance will close his cycle with а cooler. So I could get somewhere around 0 Kelvin with helium or hydrogen - to where the materials can withstand . 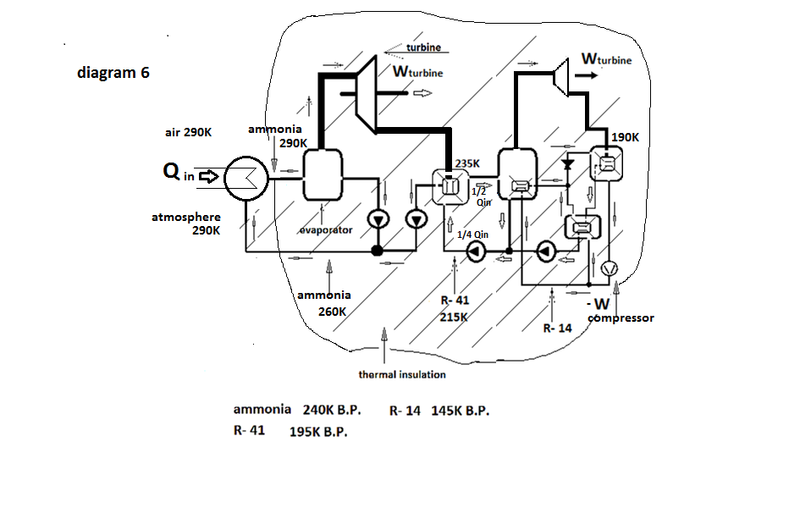 This will convert the heat from the combustion of hydrocarbons in the mechanical work in full - with each turbine (piston in the cylinder) the quantity of waste heat will decrease (I think we can make 50% of the heat into mechanical energy of each working substance). But what do we need to burn hydrocarbons, such as space and nature give us some average 290K? 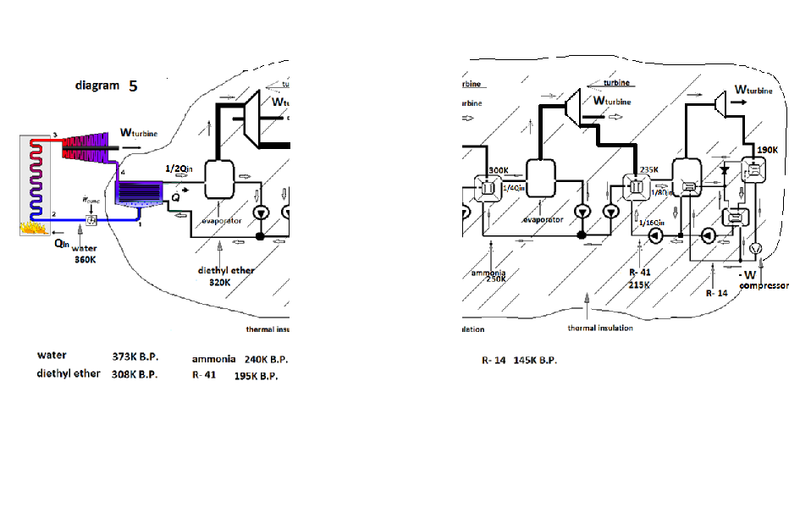 Some 100 degree difference between hot and cold part will probably be able to achieve. 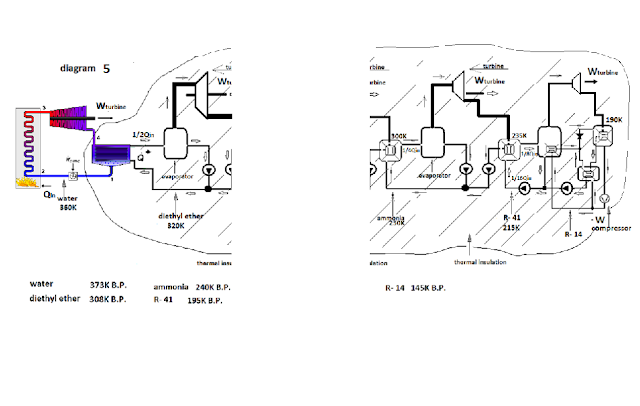 Well, the difference between hot and cold part using the heat from the combustion of hydrocarbons is very large (eg 790K ), respectively of the same capacity of the turbines will receive greater power. But hydrocarbons are not inexhaustible, and burning them is bad for the climate and nature. Публикувано от Svetozar the Cold в 2:59 ч.